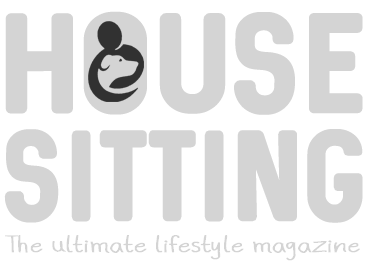 If you need a house sitter to look after your home, possessions and pets, or if you are thinking of offering your services as a sitter to home owners, the best place to advertise is on one of the larger, well-established house sitting websites. But which one should you choose and which is the best option for your particular circumstances? How do I choose the best house sitting platform for my needs? Are house sitting websites good value? We think so, yes! The way we look at it is that every year we save over $20,000 dollars on our accommodation. We also save on utilities, WiFi costs and car running expenses. That’s a huge chunk of the budget dealt with! And what’s the best way to secure continual house sits around the world? Well, we’ve done this by investing in all the platforms that can help us. We started out by joining 4 different sites and we recouped our investment within the first week of house sitting! If we are in Australia for instance, we use TrustedHousesitters and AussieHousesitters. But we’ve also had great success with HouseCarers, HouseSitMatch and HouseSittersUK. Now we don’t need to be members of so many sites as we get referrals and repeat sits to add into the mix too. Most of our sits come through TrustedHousesitters, but we also sign up to 1 or 2 regional sites when we can, to make sure we have access to the best opportunities available. But what if I’m NOT house sitting full-time? Then you have to weigh up and decide what represents the best value for you. If you are only house sitting once or twice a year for vacations, then work out your overall savings once you’ve taken into account airfares, visas and other related costs. Assess for yourself whether the cost of a house sitting platform equals good value. Value can be represented by more than just money too. We like that we are supported by professional businesses that we can talk to in the event of a problem. We like that members have usually been through some kind of ID verification and that on the smaller sites you can enjoy more personal attention. The larger sites often have other benefits – like the added security of the 24 hour Vet Line for pet advice at TrustedHousesitters, or the StopOver feature at Nomador. And we value the stress free living this lifestyle affords us, along with the two-way exchange that helps others experience longer or more frequent travel experiences while knowing their pets are being loved by pet lovers in their own homes following the usual routines. Everyone gets value from this – us, the home owners and of course the pets! So all of this will depend on how often you will be house sitting, where in the world you want to travel, and your own personal budget. And remember, it’s free to browse on any of these house sitting sites. You can check out which resonates most with you before you part with any money!